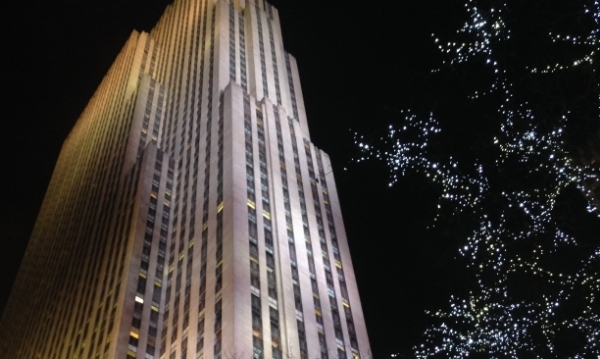 A lovely view of 30 Rock from the streets. Lots of cameras up in there! It's been a while since I've mouthed off on cable news about anything, and it was nice to return to Chris Hayes's show on MSNBC to think out loud about NJ Governor Chris Christie's presidential prospects in light of the George Washington Bridge controversy. I joined Sam Seder and the actually, truly, legendary Charles Pierce (of Esquire Magazine). Happy fun times via moving images and recorded sound below.